They say your website is your best salesperson, but Instagram might be coming for that title. 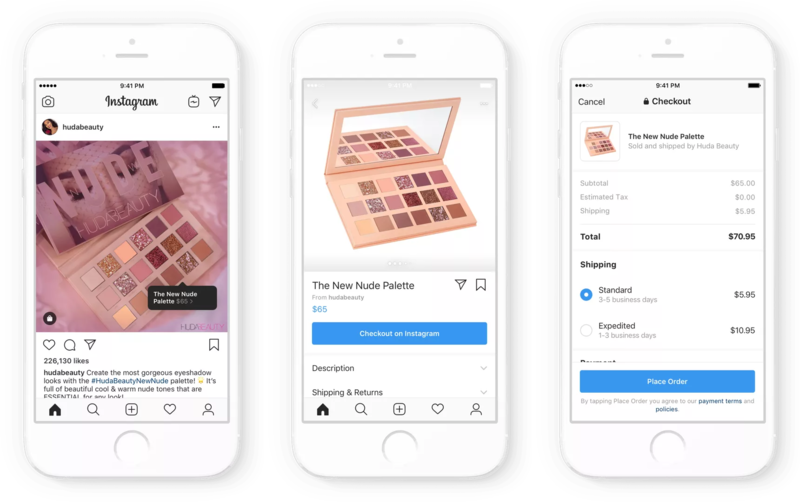 The platform launched “Checkout on Instagram” this week, an eCommerce solution that will enable users to buy products directly through the platform without leaving the app. Checkout on Instagram launched exclusively in the U.S. on Tuesday, and is currently being tested in a closed beta with a select group of major brands. Brands in the testing group include Nike, Zara, Dior, MAC Cosmetics, and many other leaders in the retail space and Instagram plans on adding more in the coming weeks. You can view the blog post to get the full list if you’re interested in testing it out for yourself. This update blurs the line between casually browsing on social media to actively making a purchase, enabling marketers to directly drive revenue through their social media efforts. How Does “Checkout on Instagram” Work? Once they arrive at checkout, users can choose various options such as size, color, quantity, etc. (it's currently unclear how customizable these options can be for brands in the backend), and then proceed directly to checkout. 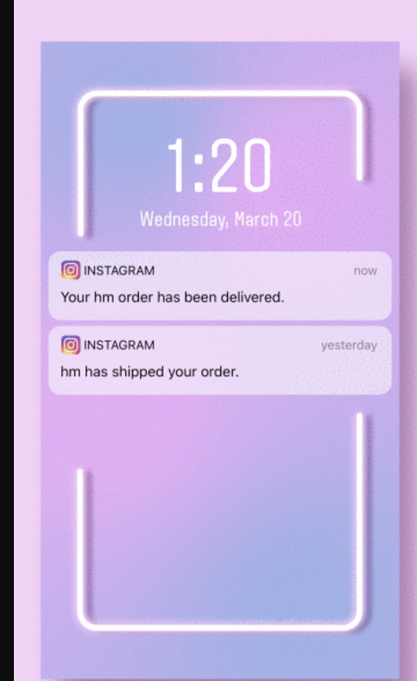 Even better, Instagram will handle tracking updates so customers know the status of their order. These will be in the same format as Instagram’s standard push notifications, intertwining the shopping & social experience even further. Additionally, to make the shopping experience more consumer-friendly, users will only need to enter their name, email, billing information, and shipping address once. All information will be saved after their first purchase. The seamless experience can promote impulse purchases, making it easier for brands to sell products - even in cases where the customer might have not been actively looking to purchase. However, it’s not clear if you can opt out of having your data saved. Instagram told TechCrunch that they put this feature in place to alleviate the pain point of having to sign up with each brand in order to make a purchase - but what about privacy? Reasonably, many consumers may have concerns with sharing their credit card information with the Facebook-owned app, due to the many data sharing scandals the company endured over the past year. To help users better understand how their credit card information is being used and what measures are being taken to protect it, Instagram has a full page dedicated to their Purchase Protection Policy on their FAQ page. You can read the full policy here, but basically, it ensures that users will have full visibility into any orders purchased through Instagram, and an outlined process to take if you believe any fraudulent activity is associated with your account. They'll also pay a full refund for orders that don't show up, or arrive with damages to the product. Checkout for Instagram is huge for so many reasons. For one, it can turn your social media presence into a true revenue driver for your company. In past articles, we’ve covered how Instagram has been found to drive shopping behavior at various stages in the funnel. The new Checkout feature closes the loop in this process, allowing people to move through the entire buyer’s journey without ever leaving the app. Additionally, as Search Engine Journal points out, this feature also presents a way for brands to quantifiably measure the success of their Instagram marketing efforts. This not only helps prove the ROI of your efforts, but it also helps you understand what type of posts drive certain behaviors. Looking at this data, marketers can see what kind of posts generate new followers, website visits, or purchases, and analyze specific attributes (post type, hashtag, user tags, etc) that they have in common. For example, you might find that videos tend to generate more followers, but carousel images drive more purchases. Additionally, this might bring more clarity on what hashtags to use to get in front of audiences based on where they are in the funnel. It will be interesting to see the data that comes out of the testing group. If successful, we could be entering a new era where social media is not only an avenue for brand awareness - but a powerful sales tool for your brand.